Did you know that rats, mice, crows and fruit bats are the only four animals that can be legally hunted in India? In a country where at least one tiger is found dead every ten days, the above statistic seems most meaningless. It may not directly matter to you and me but the fact is that it should matter. Almost half the world’s wild tiger population is present in India. But. Tiger numbers in the country are dwindling. Very fast. The animal is beautiful and majestic. But this is not why it needs to be protected and conserved. There are hard facts and data that show the danger they are in. And therefore need to be saved. Between 2000 and 2010, body parts of 474 tigers were seized. The Tiger Task Force of 2005 spoke about tiger habitats and the need to rethink conservation in India. Given that tigers are territorial beings, the debate on whether locals should be relocated from near tiger habitats, or continue to live within the reserve area, continues. In a country where management is a massive crisis, in every area you can think of, forest management of course isn’t really up there. We don’t have a forest management strategy. Forests are not wilderness areas. They are habitats of people. There are millions who depend on forests for their livelihood. It’s the survival base of the poorest. Given all of this, the tiger of course is in double jeopardy. 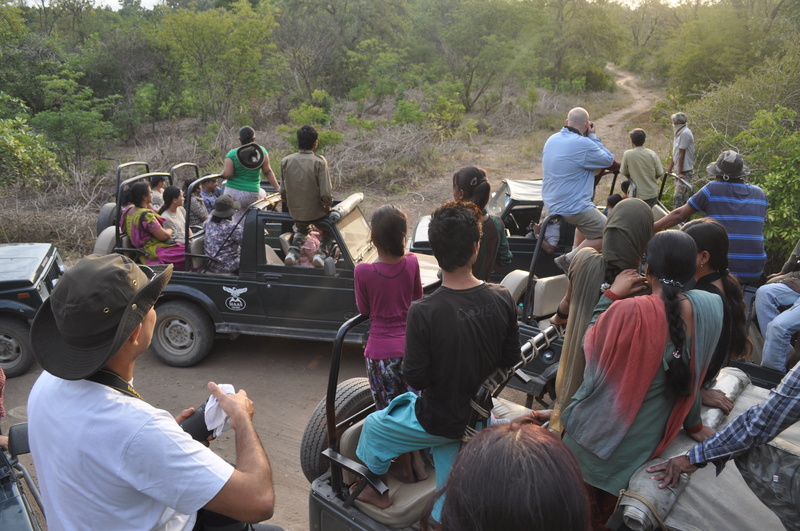 Data says that in the core areas of tiger reserves there 19,000 families spread across 273 villages in the country. In tiger reserves in general, there are 66,000 families in 1500 villages. In three decades till 2005, only 80 villages have been relocated from tiger reserves. People are dependent on forests for sustenance. And this has only put more pressure on forests. And the irony of all this is that as per the 2005 census, half our tigers and other wildlife were found outside 20 reserves. Tourism – Good or Bad? So when we talk about tiger conservation, why are we talking about humans first? Well, the reality is that we are the ones endangering the species by the minute. Tourists at a tiger sigting spot at the Corbett Tiger Reserve, Nainital, Uttarakhand. “Tourism is primarily a private industry”, explains Swati. Even as one goes to these resorts/hotels, it isn’t about enjoying the quiet calm of the jungle. Loud music and bon fires are quite common. Some even get married here. Destination weddings! On a recent visit to the Corbett Tiger Reserve in Nainital district, I saw the line of resorts on the road leading up to the reserve itself. This has been a massive cause for concern for a while now. Tigers have been affected by this sudden influx of people and have been finding it difficult to cross to the other side which is the Ramnagar forest. 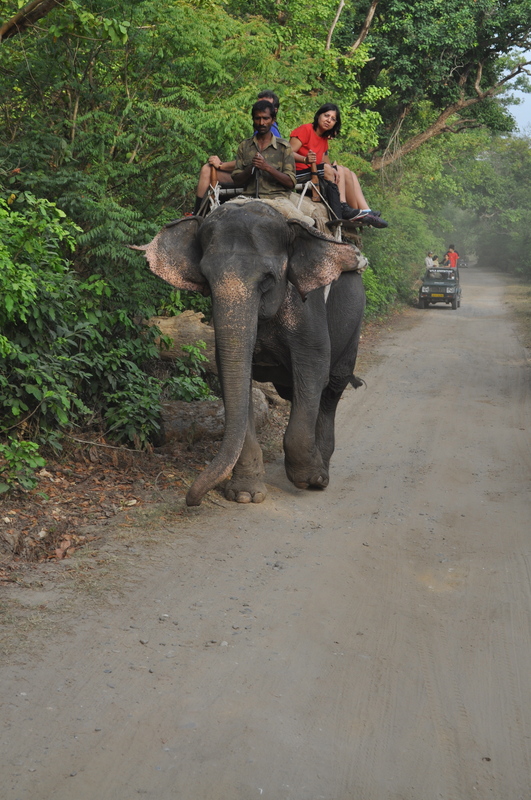 The resorts stand in between Corbett and Ramnagar with the Kosi running alongside. Swati says that the owners of most of the tourist establishments are in fact not from that region. They buy land and the original land owners end up working on that hotel/lodge as drivers, gardeners and so on. Clothes of the tourists are washed in nearby rivers, polluting the water. Vegetables are not bought locally either. 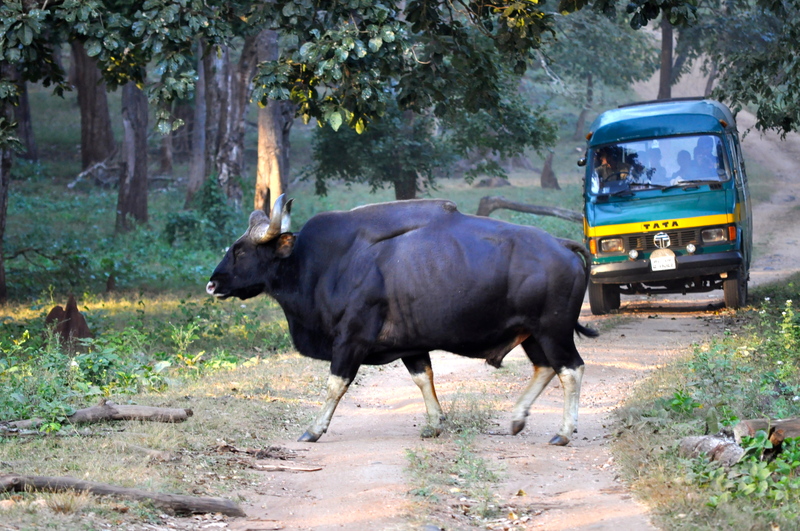 The Jungle Lodges and Resorts vehicles are the only ones used in forests in Karnataka. So should we stop tourism altogether? Swati says no. She explains that it’s about increasing the forest in the buffer areas, thereby reducing pressure on the core. She gives the example of the government-run Jungle Lodges in Kabini in Karnataka. This lodge has a limited facility and follows regulations meticulously. I visited this place last year and found it to be quite well-run. The only disappointing factor would be the lack of takers when the films on wildlife are screened. Swati says that in Karnataka all vehicles going into the forests in any resort belong to the Jungle lodges. Swati says that regulation is required and that instead of evicting local communities, they can be used as watch dogs. Tourism can be used as a tool to transform. Otherwise, it will only do more bad than good. Conservation is a collective responsibility. Coming back to the conflict between humans and tigers, there are divided views on relocation of locals. Ghazala Shahabuddin, an Associate Professor at Delhi’s Ambedkar University, sees relocation as a failure. She says that the rehabilitation process is not just about money but should be a hand-holding process. Chandigarh-based activist Madhu Sarin says that relocation violates the Forest Rights Act. She says that one cannot conclude that the rights of the tigers are superior to the rights of the tribals. Most of the locals in and around tiger reserves in fact don’t have any land of their own. They live on revenue land. This has put the administration in a dilemma. But Ghazala also offers alternatives to relocation. Eco tourism. Jeep rides. Small scale farming. Employment opportunities. Ghazala says that there can be an MoU with locals and negotiations can be made to reach a middle path. The problem however, she explains, is that nothing has been tried yet. Ravi Chellam, Director of Research and Conservation at the Madras Crocodile Bank Trust’s Bangalore unit, says that there is a huge gap between intention of the law and hot it is being implemented. He feels that it isn’t about people versus the forest department, but people versus wildlife. Whenever a tiger kills cattle, the locals generally immediately poison the cattle which in turn kills the tiger. The World Wildlife Fund India has now started compensating families immediately after the cattle dies so as to prevent them from poisoning the cattle. This of course is misused by several. And then there is wildlife crime. Poachers have become smarter by the day. Even camera traps are stolen these days. This year, till June 10th, 48 tigers were found dead in the country. In 2011, 56 tigers died including 9 that were confirmed cases of poaching. In 2010, 52 tigers died including 24 confirmed poaching cases. The numbers are only going up. Today all tiger deaths are assumed to be caused by poaching unless proven otherwise. 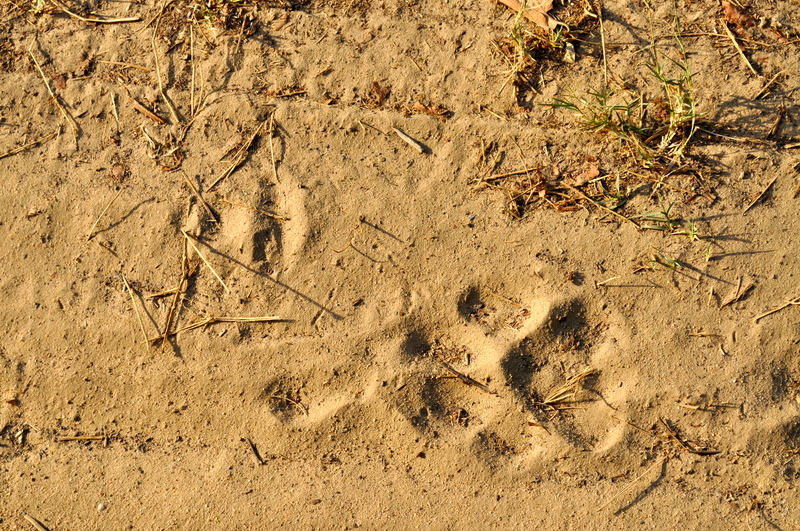 On a recent visit to the Corbett Tiger Reserve, which has over 200 tigers, I spotted none. Probably symbolic of the fact that tigers are fast disappearing. I was at the Rajiv Gandhi Institute of Chest Diseases a few weeks back when Kannada actor Darshan Togudeepa was admitted there while in judicial custody. At that time, there was a gentleman there who was hanging around near the hospital claiming to belong to a television channel that is association with anti-corruption. 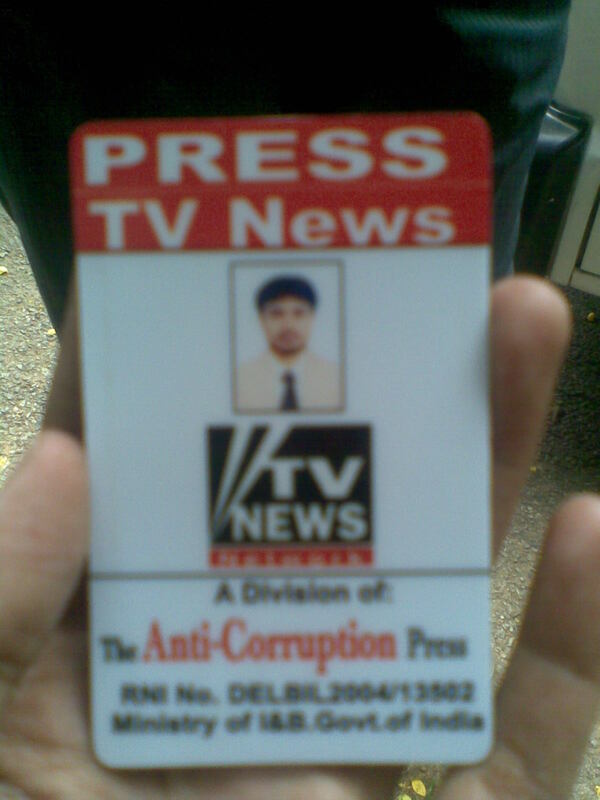 He said the channel was headquartered in Delhi and even produced his ID card as shown above. Attempts to contact the numbers provided on his ID card proved futile. Those who answered the phone seemed to be unaware. I am not even sure if the address provided is a fake one. On the whole, it seemed quite weird. Not sure if there are many such claimants walking around in the country. The last week was a pretty significant one in the history of India. Never ever has a Prime Minister set out a trap for himself in our country, that too with the media waiting for the kill. But yes, it did happen. You made it happen. It was a golden opportunity for the media to get all their questions answered and in many ways, answers for the people of the country. So even as your interrogation began, beg your pardon, interview began, the obvious questions were asked: 2G spectrum scam, Common Wealth Games, ISRO-Devas deal, A Raja, so on and so forth. But an issue that has hit the country recently, was left untouched – the media-corporates nexus. The room full of editors from television news channels chose to throw a volley of questions at you, but at the same time, chose to tread on safe waters and left this topic out, conveniently. Wouldn’t it have been the ideal situation in which you could have cleared the air? The series of conversations between Nira Radia and various members of the media, especially the ones related to the cabinet portfolios, are highly significant. One may argue that the journalists were not lobbying, but were in fact just having conversations, as part of their reportage. But my question to upi, Mr Prime Minister, would have been, if you had personally experienced any pressure from corporates/media to actually give the Telecommunications portfolio to A Raja. Not a single editor in that room chose to find the answer to this question. Were their knees too weak? Were they all sailing in the same boat? Did they feel that they would be outdone if they asked you any question related to this subject? And after that interview, we all so majestically highlighted how helpless you are, that you are honest man in a corrupt government, whether you are a weak and lame duck PM. Mr Prime Minister, who are we to judge you? Who are we to question you when our own backyard is filled with muck? It is disappointing and disgusting that the media chose to be the way they did. Why did you invite a room full of editors from television channels, knowing very well, the end result? Any answer you would have given that day would have been ripped apart and shredded to analytical pieces. I am not in any way defending you, Mr Prime Minister. You have your job to do. And I do admire some of your answers, as they were honest to the most part. But your work does not lie in being honest to us, but more in being honest to yourself and to the people of this country. ‘My first and only love is journalism!’, remarked a reporter a few weeks back, as a retort to some teasing by some fellow-camerapersons. To which a cameraperson shot back, ‘In all my years of work, you are the first man to have ever said that!’, and there was a trail of laughter that followed. We were all having a good time no doubt. Often making a mockery of ourselves, at the way we in the media behave. This was one of those moments. But the more I listen to these conversations, the more disillussioned I feel. As much of an effort I make to feel otherwise. The world of television journalism is worse than a rat race. It’s no where even close to a race. It’s in fact a stampede. Every single day, every single story. There’s always a forced sense of ‘who is going to be the first’. ‘Exclusive’, ‘Breaking News’, ‘Impact’, ‘Follow-up’, these are words that scream out to you almost every other day from your television screens. But for those on the field, it’s the very way in which they gather news. At least for a good majority. That sense of urgency that is required in journalism has been stretched a bit too far. Recently, at the city civil court, two advocates were arriving to file their cases against the Chief Minister. As usual, a horde of us mediapersons waited rather impatiently to get a byte and some shots from these men who had shot to fame overnight. Even as the police told us to be patient, and kept a barricade for us to keep our microphones, so as to not fall over each other, the moment those advocates arrived, that’s exactly what happened. Even the word ‘frenzy’ would be an understatement. If each of the reporters, photographers and camerapersons had formed a line, and maintained a certain amount of self-discipline, things would have been just fine. But what happens is exactly like what happens in Tirupati – the closer you are to the main shrine, the crazier the so-called ‘queue’ gets. A similar case happened at the Yeshwanthpur Railway station recently. BJP workers were returning to Bangalore from their Tiranga yatra. A horde of us were waiting for the train which carried barely about 200 workers. Most of the reporters were doing their ‘Piece to Camera’s, during which one of them who was saying in Hindi, ‘Jaise aap dekh sakte hain, itne saare BJP ke karyakarthaon yahaan maujood hue hain….’, leaving two print journalists laughing at the exaggerated number being reported. Just a few minutes back I myself had said to the camera about the fact that very few BJP workers were returning, since most had gotten off at their hometowns. And once the action moved outside the railway station, where we assembled for the bytes, it was once again stampede. Mind you, there were none of the usual ‘VIPs’, they were a bunch of party workers. But the rush to get a byte from them saw the same. I really didn’t get it. These party workers were not going to rush off anywhere. But the camerapersons were still crazed out and falling over each other to get the byte. In fact this entire event would not have even been an event if not for us media persons. All the action was only because of some reporters insisting on covering the event. Otherwise it would have possibly gone unnoticed. The IPL auctions were absolute rubbish. But there were 15 Outdoor Broadcast vans standing at the ITC Royal Gardenia on that weekend. All this not for the love of journalism, but because of the glamour associated with that event. This is exactly what worries me. Making a story when there is pretty much nothing. And that sense of urgency I was talking about. It’s almost surreal. There are many moments I have questioned myself, wondering if I’m doing anything wrong, wondering if I should mend my ways to the workings of television news. It’s the unfortunate truth of television journalism. Even as they call themselves 24/7, channels are more or less running the same bulletins over and again, sticking to a handfull of news stories. The fact that the 24/7 aspect allows more stories to be aired is never considered. The change, most certainly, needs to come from within. If one channel transforms, others are bound to do so. At a recent press conference, scribes were still hanging around, even after the presser was done with. Each was waiting for other to leave, so as to possibly not miss out on any meaty news. It was crazy! When I was leaving, I heard someone say, ‘Please start taking the others with you as well’. This, my friend, is the state of affairs in the world of journalism. It has become more about competition and less about journalism. More about ‘exclusives’, less about the ‘untold story’. That’s eactly why we laugh when someone says, ‘My first love is journalism!’. The voice of the people. Or not. It’s two words that throw open a door of convenience for television news (I say news and not journalism deliberately!). People often complain about lack of representation of the common man in many spheres of life, especially when it comes to government decisions, policy and so on. Interestingly, television has long since found the need to represent the common man. And they do just this through, what else but, ‘Vox Pops’! This Latin phrase literally means ‘Voice of the People’. But like I said before these vox pops are a quick and easy way of getting people to speak on certain issues – Shah Rukh Khan’s birthday, Obama’s outsourcing statements, Diwali celebrations, image of the Army after the Adarsh scam – just about anything. In television, this is a quick and shortcut method to getting responses to a particular story. Instead of going to a top politician or ‘expert’ for a response, higher ups ask reporters to get ‘vox pops’. Well, let me tell you, I would really rather go to the top politician or expert for a response. As much as vox pops are meant to showcase quick responses from the aam aadmi, it’s not as easy as one makes it out to be. What’s so difficult to get a few people from off the street to speak on camera, you might ask. Well, everything, I would reply. As much as one might assume that people will be more than willing to face the camera for their 15 seconds of fame, they actually aren’t so excited when asked a question about a certain current topic. This despite seeing crowds of people gather around a camera when shoots are on, where they constantly stand behind the reporter, or peer at the display screen to see what is actually right before their eyes. When the mic is shoved to their face, they back off. Most of them brush us off like we are nosy salespersons ought to coerce them to make an unnecessary purchase! Agreed, maybe vox pops may not really be the focus of a television news channel when it comes to a hard-hitting story. Most of the time these vox pops are asked for, more for effect, or to fill on-air time. But you still don’t see people too thrilled about being responding to a question on camera. This is not to say that it’s impossible to get vox pops. But it’s a herculean task to stop people on street only to be dismissed with an emphatic ‘No’. To get at least three vox pops, you would have to wait at a street corner for a good half hour. You would think I am exaggerating, but I am seriously not! And you have newsroom demands saying the vox pops should be only by English-speaking people, well-dressed, sometimes in a mall or hotel, and so on. Well, I have news for you, my friend, your list maybe as demanding for whose voice should be heard and from where. But the people really have the last word. Or not. In the words of Joey from an American sitcom, vox pops, “You are my Everest”. This report is neither timely nor has any astoundingly new information to offer. But nevertheless, a kind of follow-up to a case that was/is really important to Bangalore. I had barely finished reading the newspaper this morning when I heard the news anchor on News9 (a Bangalore-bases news channel of the TV9 group that focuses on local news) at about 8:15 AM. The anchor, by the name of Niranjan, was talking about Prathibha’s case. I was a little surprised that the news channel was also carrying this news since there has really been no development in the case. So I took a guess that the channel had merely picked it up from this newspaper (I read The Hindu as well and the paper is not carrying this news item today).Most news channels do this, so I wasn’t surprised. But as I heard the words that the news anchor was using, I realised something and rushed to look at the newspaper report once again. The news anchor was reading from The Times of India, verbatim. Four years ago, it was a case that shook the city and sent shivers down the spines of thousands of women who worked late nights in call centres that abounded India’s Silicon City. On December 13, 2005, Pratibha Murthy, a BPO employee, was picked up by a cab driver claiming to be a ‘substitute’ for the regular driver, raped at knifepoint and killed. The murder of the newly-wed Pratibha was a wake-up call for companies to buck up security for their women employees; and for the women workforce, which suddenly began to fear every shadow in a city that was once seen as one of the safest places in India. Four years later, in the wake of another old case — that of Ruchika — the Pratibha murder case is still in a fast-track court. The anchor could have at least reworded the sentences. Television scripts generally have shorter/simpler sentences than print. But this anchor (or whoever wrote/copied the script for him) just seemed to be reading the report as it is. Again, this entirely did not surprise me. To a layman, what I’m saying would make absolutely no difference. But my point isn’t that. It is shameful that this is the kind of news that is being presented to the world today. One organisation puts out news, another just picks it up, with no qualms whatsoever. News channels talk left, right and centre, pinning down politicians/bureaucrats on primetime debates. Where do their own ethics stand in the midst of all this? Copyright laws are grossly violated in news channels. Be it videos, photographs or even news stories, most often the source is never attributed. And the media is supposed to be responsible. Super.